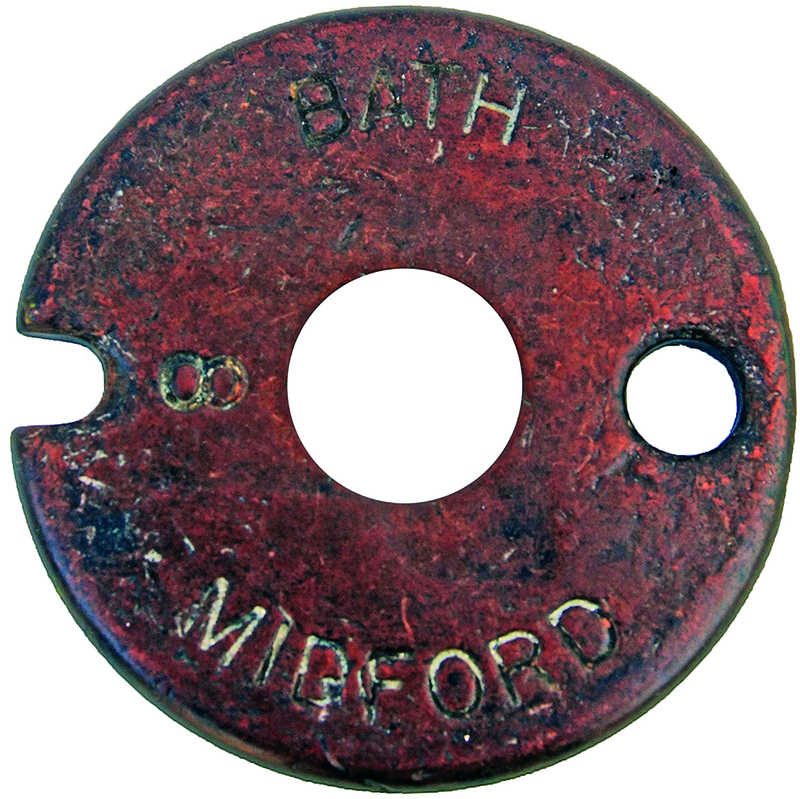 Somerset & Dorset Joint Railway section Tyers No 6 Single Line Fibre Tablet BATH - MIDFORD No. 8. Utilised on the near 7 mile section between Bath Junction and Midford through the steep inclines of the Mendips and of course Combe Tunnel. Ex box condition.